A relevant qualification, in line with Residential Care minimum standards, and/or be willing to undertake relevant study. Sound knowledge and understanding of Aboriginal culture and values and the ability to effectively communicate with Aboriginal children and their families. A demonstrated ability to contribute to Aboriginal children’s emotional, physical, psychological and cultural development. 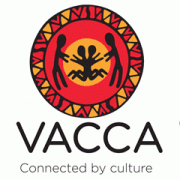 A proven ability to work with Aboriginal children with a range of complex and diverse needs. Please quote in application: House Manager- Residential Care via Pro Bono Australia.